Class I: No matter under what conditions, the influence of low output laser (power less than 0.4mW) to the eyes and skin will not exceed the MPE value, even after focusing by the optical system. It can ensure the safety of the design without special management. Class II: low output visual laser (power 0.4mW-1mW). The reaction time for humans to close the eye is 0.25 seconds, and the exposure time calculated with this period of time should not exceed the MPE value. Usually the laser below 1mW can cause dizziness and unable to think clearly.Closing your eyes cannot be completely safe, that is not enough to protect you. Do not directlystare at the light beam, and do not directly illuminate other people's eyes with Class II laser. Avoid observation with long distance equipment. Class III: Medium output laser. If the laser beam’s output have direct contact with the eyes, that will cause harm. For some safety reasons, it can be divided into Class IIIA and Class IIIB. Class IIIA is continuous laser of visible light, and the output is laser beam of 1-5mW. The energy density of the light beam should not exceed 25W/m-m. Avoid observing Class IIIA laser with long distance equipment, which may increase the risk. Class III B is continuous laser of 5-500mW. It is dangerous to observe the beam light directly. But it is safe when the minimum irradiation distance is 13 cm and the maximum irradiation time is less than 10 seconds. Class IV: High output continuous laser (greater than 500mW) is higher than Class III. There is a danger of fire, and diffuse reflection is also dangerous. 1.The laser produces light beam of high intensity and high directivity. If directly illuminated, reflected or focused on an object, the laser will be partially absorbed, which will increase the surface or internal temperature of the object, and cause local change or deformation of the material. 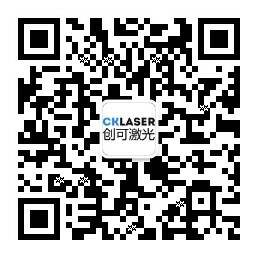 Exposedto laser,our skin and eyes is harmful. Generally speaking, human eyes are more fragile than skin. Even for scattered laser, the long-term damage to the eyes cannot be underestimated. If there is metal material in the processing material, you should pay more attention to metal reflection. The lens is vulnerable to damage in the far ultraviolet and far infrared band of the spectrum. However, most of the attention should be paid to the retinal spectral damage area, about 400nm (ultraviolet) to 1400nm (near-infrared), and including all the visible light regions of the spectrum. The necessary protective measures should be considered by the operator. The simplest way is towear laser protective glasses. For laser of high power or visible range, protection windows are essential. This system has taken necessary electrical protection measures to ensure your safety. All DC and AC devices in this system are integrated internally. There is no position for users to maintain, repair or adjust in the control system and optical system. Unauthorized disassembly of the control system and laser system will repealour warranty for the product you purchased. For system damage caused by external reasons such as fire, and faults caused by dropping and vibration during artificial handling, external power fault, etc., we will charge the maintenance fees according to actual condition . The smoke produced by the processed material when the laser is on or out of focus depends on the substances contained, the environment of laser processing, the melting, vaporization and combustion caused by thermoacoustic effect. The dust or steam produced during laser processing may contain harmful substances to human body. The chemical composition of hazardous substances depends on the materials processed. The smoke should be analyzed before a smoke exhaust device installed for the equipment. The smoke will affect the equipment, increase the workload of equipment maintenance, damage the optical accessories of the equipment, and reduce the service life span of the equipment. Problems caused by improper use are not within the scope of our warranty. Fire may occur when laser is used to process combustible materials, and the operator must be fully aware of it. Fire extinguishers must be equipped near the equipment. The laser system and the laser marking system are strictly tested and can adapt to the complex situations under most climatic conditions. But in order to use this system more safely, and to prolong the service life span of the system and avoid unnecessary trouble, please refer to the following table to set the environment parameters when using this product. The staff should be seated properly. Sitting for a long time will cause physical fatigue and chronic diseases. It is very likely to cause electric shock or radiation hazard during the disassembly process.